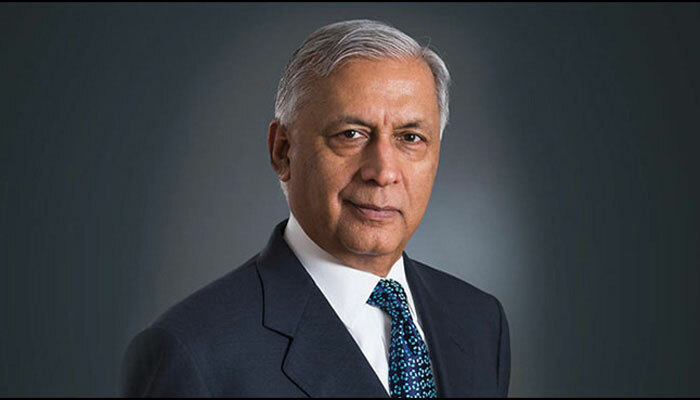 Former prime minister Shaukat Aziz, who has been accused of abuse of authority in a case pertaining to the appointment of Basharat Hasan Bashir as a consultant for the country’s top alternative energy board, has argued that the charges against him are without merit and political in nature. The National Accountability Bureau (NAB) had filed a reference against the former premier and others for illegally appointing Basharat Hassan Bashir on an MP-II scale salary package in an alleged violation of rules, reportedly resulting in losses up to Rs21 million. The case also involves former Sindh chief minister Liaquat Jatoi, ex-federal secretary Ismail Qureshi, former AEDB chairman Air Marshal (r) Shahid Hamid, and former AEDB secretary Brig Dr Nasim Akhtar Khan. In February an accountability court in Islamabad had issued arrest warrants again for the Pakistani economist, who has not appeared for any of the court hearings. In a written statement, Aziz is defended by the London-based Debevoise & Plimpton LLC. The letter written to the court argues that Aziz has not responded to any of the charges due to “credible and persistent threats to his life”. It adds that their client “survived an assassination attempt while Prime Minister and for security reasons no longer resides in, or travels to, Pakistan”. “The very real threat to his life were he to do so persists and it is for this reason alone – unrelated to any proceedings which may have named him – that our client cannot travel to Pakistan. He, therefore, cannot defend against allegations made against him or otherwise seek the assistance of the Pakistani courts in person,” the letter adds. However, it adds, Aziz is “willing to testify” before Pakistani courts and willing to “give video evidence from abroad”. The letter goes on to delve into the case background and argues that there is “no link between our client and Dr Bashir”. “It should be noted that our client: (i) had no personal interest in Dr Bashir’s appointment; (ii) had no personal or professional relationship with Dr Bashir; (iii) has never met Dr Bashir; (iv) did not interview Dr Bashir for the position at AEDB; and (v) any involvement was limited to nominally approving the appointment for headcount purposes, in line with the law and prescribed procedures,” it states. It argues that the “Establishment and Finance Divisions of the Government were responsible for reviewing the conditions of Dr Bashir’s appointment” and the “Establishment Division specifically recommended Dr Bashir’s appointment, notwithstanding the Finance Division’s objections”. It adds that the Alternative Energy Development Board as well as the Ministry of Water and Power “fully supported” the hiring. While it was recommended that he is appointed “on the highest available pay scale and on an open-ended contract”, the letter adds, Dr Bashir was ultimately appointed on a pay scale one below that recommended by the MWP. “Furthermore, Dr. Bashir was awarded a two-year fixed term contract, as opposed to an open-ended contract. This is all contradictory of the allegation that Mr. Aziz misused his authority to grant an undue “pecuniary benefit” to Dr Bashir,” it states. Citing a “complete lack of evidence supporting the complaint and the lapse in time” since Dr Bashir’s appointment, the letter argues that “the allegations against our client are political in nature and wholly without merit”. “Mr Aziz has not allowed these spurious allegations to distract him from his professional obligations which he continues to carry out to the highest standards,” says the letter.